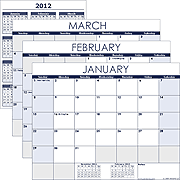 Although we believe Excel is much easier to use for custom calendars than Word, we understand that not everybody has Excel or may not like using spreadsheets. 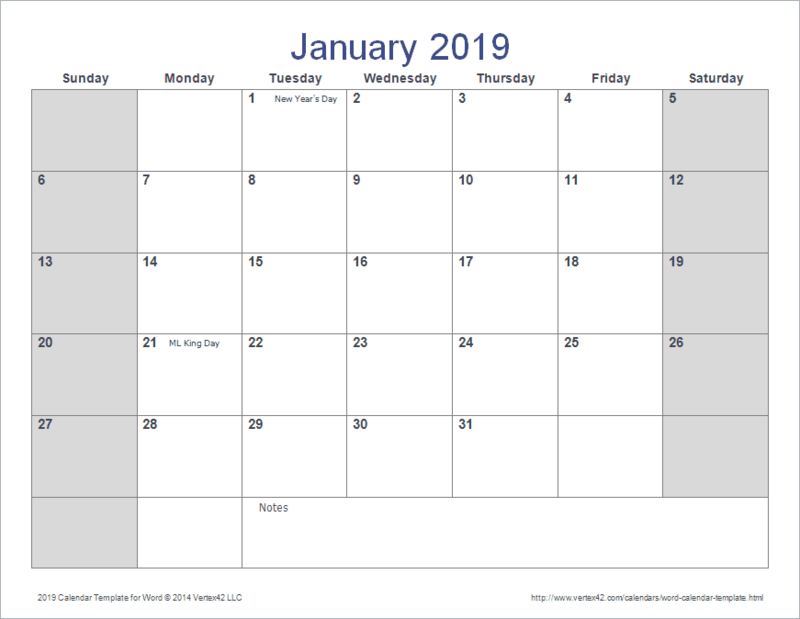 So, we've created this new calendar template for Word based on the same design we use for many of our Excel calendar templates. This Word calendar includes multiple rows for each day to make it easy to add multiple events and reminders. You can use the table design features in Word to merge cells to show events spanning multiple days and change the cell shading to highlight specific events. This template includes some of the common U.S. holidays and observances. If you are looking for templates that provide more functionality, such as allowing you to change the year or the starting day of the week, you may want to try the Perpetual Calendar template for Excel instead.